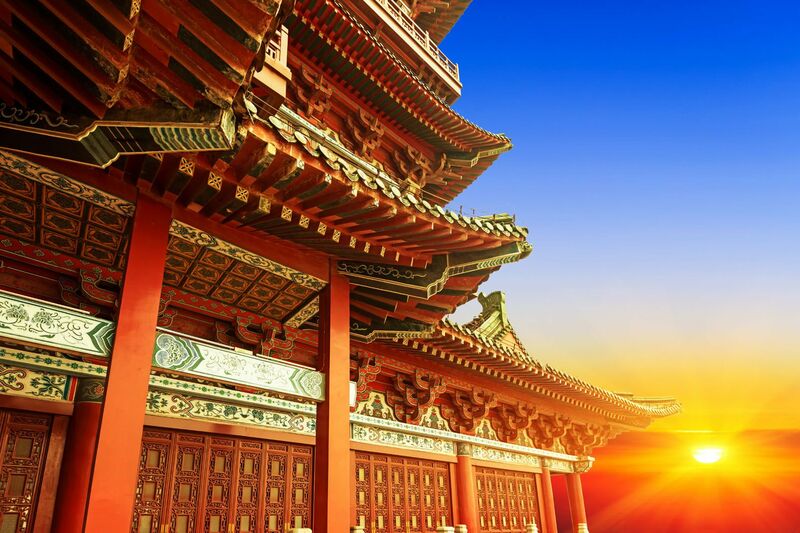 Since Marco Polo's discovery-filled voyages, China has been perceived by the West as a mystical land of contrasts, never ceasing to fascinate even the most blasé of travellers. Prepare yourself for more than one unavoidable culture shock (or two) and uncountable mysteries. Going to China is like entering a whole different world. Lose yourself in the madness, spend time people-watching, take in the smells of real Chinese cooking and drown in the sounds of car horns and thousands of pedestrians along the streets. Otherwise, dive head-long into its different landscapes, rice terraces, temple-dotted mountains, beguiling deserts and rural villages. It would take more than a lifetime to discover this monolith in its entirety, but who's to say we can't try. Chinese culture is a complete removal from the familiar workings of the Western world. Street signs and conversations will constantly befuddle you, construction will astound you and ethnic variations will keep you guessing. By all means visit the age-old monuments and the structured world of the city centres, but reserve time for the people too. Between Tibetan Buddhist monks, southern rice growers and the tech-crazy population of Hong Kong, you'll find an incredible range of traditions and ideas. North China is a significant part of the world-famous 'Silk Road' trade route. Along this route are scattered temples, ruins of ancient cities and oases, come in far-flung reaches of the desert and others buried into the hillsides of cloud-shrouded mountains. From here, you can head higher up into the Himalayas to Tibet, the world's highest city, and its monasteries. Known as the 'roof of the world', it's ideal terrain for thrill-seeking hikers with arid landscape and snow-capped mountains. The great and mythical Ho Chi Minh trail divides east and west and crosses the North of the country, punctuated with Buddhist temples, ancient towns left in ruins, deserts and mountains. Szechwan is worth a stop, where you'll find the city of Chengdu (and its Panda conservation centre) and the sacred mountain of Emej. 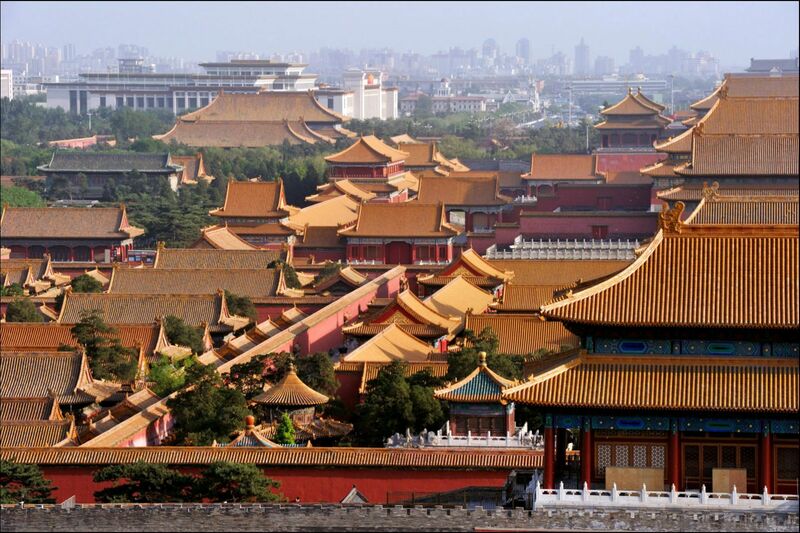 If you're travelling to Beijing, the Forbidden City, the Imperial Gardens, the temples and palaces all await you with the wisdom of centuries. If you have the time, soak up the atmosphere of old Beijing and its hutongs (backstreets) which retain their ancient charm with traditional houses lining each side. Then escape up onto the winding stone walkways of the Great Wall and pay a visit to the 7,000 terracotta warriors at Xi'an. Southern China is equally as rich with cultural treasures. In the centre of Shanghai you will find towering modern skyscrapers plonked next to the charming colonial district. You will also have the chance to visit Bund, the large boat-dotted wharf that flows into the Yangzi River, giving the city an air of a far-eastern Venice. But when you stray just a short distance from the metropolises, you'll find islands to hop, the beautiful Purple Mountain of Nanjing and Wuxi's Lake Tiahu. At the far western side of the country Karakul lake is blissful. Just a short walk away is the Pamir mountain chain, which offers beautiful panoramas of the surrounding landscapes from 3,600 metres, away from the hustle and bustle of city streets and tourist crowds. Whether you head east or west, north or south, the only things you really need are a sturdy pair of shoes and an enormous appetite for discovery. It's difficult to define one particular time of year that is the best for going to China as the country varies massively in terms of its climate. But the most agreeable season to travel to China is that between spring and autumn, when the differences in temperatures from region to region are not as drastic. Getting around the country is usually done by plane as it is the most convenient, but can also be costly. For those with lesser budgets, train travel is relatively easy and usually very comfortable. Note that your passport must be valid for six months after the date of your return and that you will need to get a visa in order to enter the country. The Chinese language is far from an easy feat. The characters alone, numbering into the thousands, provide a challenge which many decline for a brief visit. But if you don't try, you'll bitterly regret it once you arrive. English is not widely spoken and signs are never translated so even the basics can change your entire experience. Once you get started you'll realise just how fascinating this language is. Words are put together like building blocks, so that ?a movie' becomes an ?electric shadow' and a potato a ?soil bean'. Intonations give words a completely different meaning and people open up like books once they see your interest and effort. Pandas are one of China's chief draws. Though they could once be found all over the bamboo forests of China, Myanmar and northern Vietnam, today they only live in central China. If you are keen to see for yourself these clumsy mammals in their natural habitat, here are the best places for it. Chengdu Panda Research Base in Chengdu was founded in 1987 and aims to recreate a panda's natural habitat in the wild. The centre focuses on education and further conservation, and also carries out extremely valuable research and trains pandas to fend for themselves before releasing them into the wild. The Research Base is home to around 83 Giant Pandas and is extremely accessible from almost everywhere in China. More than 30% of the world's panda population lives in Sichuan's sanctuaries. The best of them is the largest centre, Bifengxia Giant Panda Base, located 100 miles southwest of Chengdu. Amongst the park's dense forests, abundant waterfalls and splendid scenery, pandas are once again trained in a simulated natural environment and returned to the wild once researchers are sure they'll survive there. Bifengxia is a fantastic place to see 20 of the adorable black and white creatures in their natural habitat. With its almost 500,000 acres of land, Wolong National Nature Reserve is the earliest, most popular and largest panda reserve in China. The reserve was established as early as 1963, with the help of the WWF, and is home to roughly 150 Giant Pandas. On your visit to Sichuan's nature reserve, look out not only for lazy Giant Pandas, but also for Red Pandas, Golden Monkeys and White-lipped Deer. In terms of cultural customs, the Chinese often give greeting cards to one another at the end of a meeting/social gathering. They also give their presents wrapped in shiny paper, usually red in colour. In order to remain polite, presents are not usually opened in public and kept for when you are in private later on. A love of games and sports is evident in Chinese culture, starting with the famous Chinese chequers game mah-jong. In terms of music the Beijing opera not only attracts tourists but people from all over China as well. Karaoke is also popular amongst young people. Once you get started, it's difficult to stop talking about Chinese cuisine. Throw out your Chow Mein and hoi sin duck preconceptions, the diversity is hunger-inducing. Different regions use different produce according to what is most prevalent - sometimes pork and chicken, other times vegetable dishes and even fried insects, frogs and turtles. Everything, and we mean everything, is considered edible. Food is almost always a shared affair. Each person round the table has their own bowl of rice then eats from large plates in the middle of the table. The focus is on a communal dining experience, rather than the each-man-for-himself approach we're accustomed to at home. Be ready to chow down with chopsticks before sipping on a light soup to aid digestion after every meal. Desserts are few and far between but you won't be complaining after the fireworks of the main course. Be warned that local restaurants tend to close their doors early and although the large hotels don't always provide the most authentic cuisine, their ingredients are usually fresh and of a high quality. Chinese handicrafts are vast and spread across a diverse range of cultures. Cities like Shanghai, Pekin and Hong-Kong are becoming huge shopping hubs with large retail districts. However if you choose to shop in smaller boutiques or at local markets, you will find more authentic Chinese keepsakes. Remember to haggle as stallholders will often up prices for tourists. Clothes made from silk, sculptures made of stone and porcelain, antiques both real and fake, calligraphy quills, kites and all sorts of confectionary are easily found at markets and in small shops. Interestingly, it is illegal to export objects that are more than 100 years old out of China (you will need to show your purchases at customs and if you are caught with something suspicious it can get very costly). Bringing home a selection of different teas is a good idea and even some rice if it will fit in your bag. In terms of jewellery, opt for jade (a symbol of immortality), which although expensive is renowned for its good quality. 07/02/2019 - Culture The Great Wall of China: why walk when you can slide?